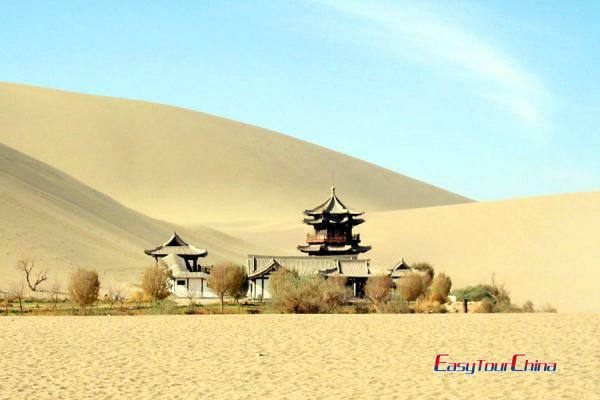 Situated 180 km to the northwest of downtown Dunhuang, Yardang National Geologic Park is the biggest Yardang landform group in the world found so far. Stretching 18 km from north to south and about 25 km from east to west, the park covers an area of around 400 square kilometers. 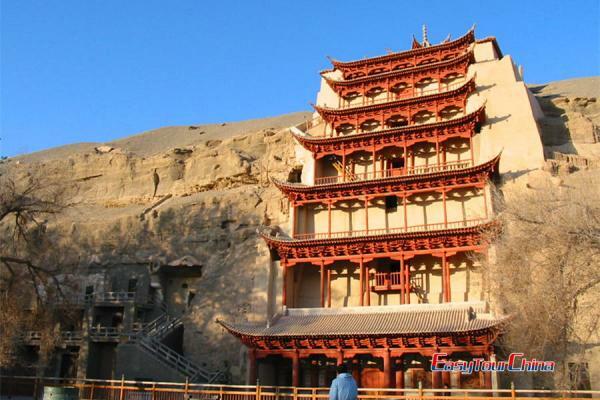 After the shooting of the movie Hero (nominated for the Best Foreign Language Film of Oscar in 2003)here, the spectacular views in this Town of Demons have attracted thousands of visitors from home and abroad, making it a hot scenic spot in Dunhuang. 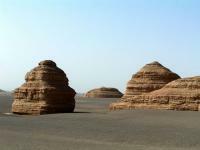 A yardang is formed by the dual action of wind abrasion, dust and sand, and deflation, etc, which carve the bedrock or certain other solid material into hillocks. Yardang was found by the prominent Swedish explorer Sven Hedin (1865~1952) on his way to the ancient city of Loulan from Lop Nur. 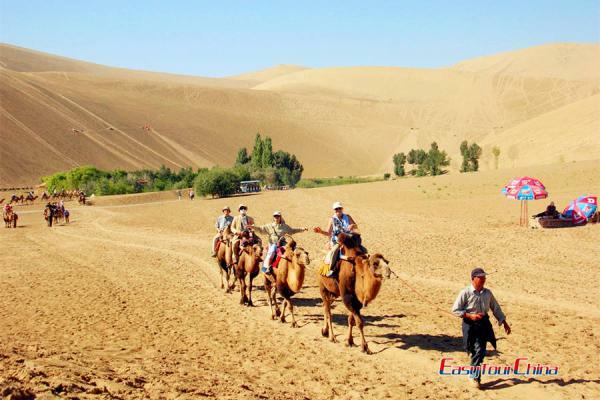 It means steep, precipitous bank in the Uyghur language. Yardang National Geologic Park seems as an architectural art museum of the world as the miniature for many world-renowned architectures can be found here, such as the Temple of Heaven in Beijing, the Potala Palace in Tibet, the Arabian mosque, the pyramid and Sphinx in Egypt, the relics of ancient Roman, the beacon towers and so on. You will surely be shocked by the imagination and fascination of the Nature while visiting. Yardang National Geologic Park presents to mankind a spectacular masterpiece of Nature with its large scale, high concentration, mature geological configuration, and rich variety of land features.